The new rosebush introductions for 2017 feature some vibrant colored beauties indeed. They also feature some roses for a "cause" where buying that rosebush sends some of the money spent on the rosebush to that cause. 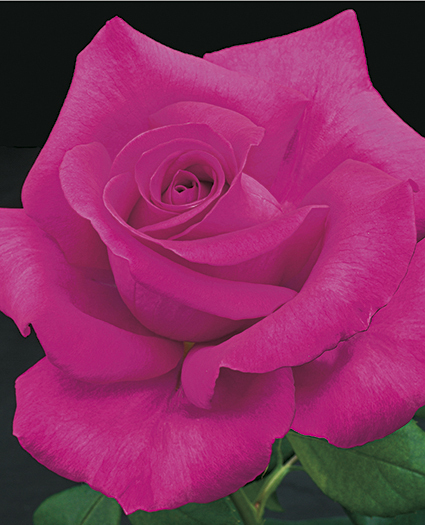 To start off our look at these beauties, I present to you a rose named All My Loving (FRYrapture), a deep pink blooming hybrid tea introduced by Weeks Roses. It comes to us from England and the very talented rose breeder Gareth Fryer. The radiant deep pink blooms set against rich green foliage draw you near and the moderate tea fragrance with light spice accents seals the deal! A hardy rose that will grace your garden with her presence. Good disease resistance too! Then we have a beauty with a cause named Grateful Heart (JACmoonsee), introduced by Jackson & Perkins. This beautiful, red blooming rose with the reverse sides of petals a soft light red to light pink make the heart beat stronger. Having the beautiful rose Moonstone as a parent is easily seen in the bloom form of Grateful Heart. Her soft clove-influenced fragrance is a special treat reserved for those giving her the attention she deserves. 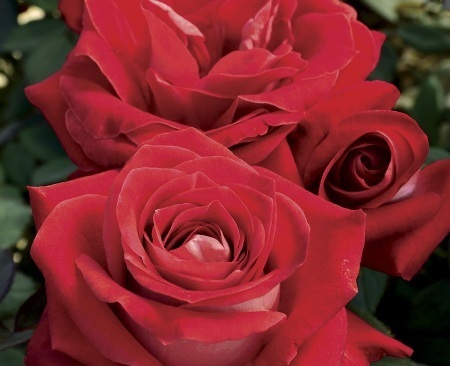 A portion of the purchase price for this rose goes to the American Heart Association. Good disease resistance is a plus with this rosebush as well. Next up is a rose that truly speaks to my heart: Children's Hope™ (WEKswegobab). 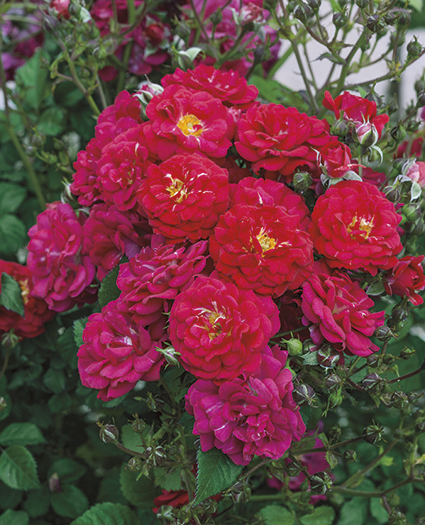 Hybridized by Tom Carruth and introduced by Weeks Roses, this wonderful Polyantha Shrub rose with its medium red bloom smiles deserves a special place in the garden or rose bed. A portion of the purchase price of each rosebush goes to benefit the Children's Brain Tumor Foundation. The foundation works tirelessly to improve treatment, help with quality of life and the long-term outlook of children with brain and spinal cord tumors through research, support, education, and advocacy to families and survivors. Watching children play and enjoy life is the same boost one gets from viewing this pretty rosebush's plentiful bloom smiles. Disease resistance is very good and the fragrance is stated as mild tea and fruity. She has a medium to low growth habit. To close out this month's look at new roses for 2017, we end on a magnificent note with the wonderful, beautiful new Grandiflora rose named Simply Magnificent (JACmelzea). Introduced by Jackson & Perkins and hybridized by Dr. Keith Zary, her eye-catching lovely lavender pink bloom smiles grab your attention, and her strong, fruity air-filling fragrance holds you there for maximum enjoyment. The disease resistant dark glossy green foliage is a perfect backdrop to bring out the beauty of the bloom smiles. It is really no surprise that she holds such beauty and awesome fragrance being a child of a cross of the rosebushes named Melody Parfumée and New Zealand. 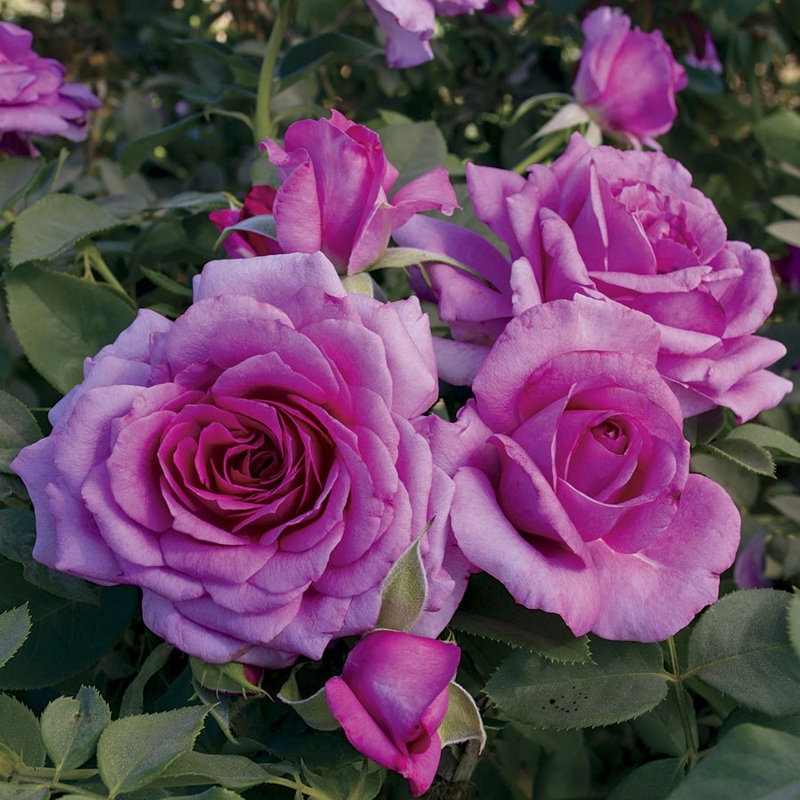 Get your bare root rosebushes ordered early as many will sell out quickly. We will take a look at more wonderful new roses next month. All photos in the article were provided by the fine folks at Weeks Roses and Jackson & Perkins Roses.